PURPOSE, Fix-It With Fran:All Things Faith, Family, Food, Fun and more! A NEW Thing! Fix-It With Fran is on YouTube! I’m in a season of firsts and I’m FULLY OPEN to where God is leading me. Earlier this week, I did what I thought I’d NEVER do and entered the world of YouTube product reviews. When God wants you to do a new thing, you have to move with it! Where is God leading you today? Don’t be afraid to take the leap! Who’s There to Save the Hero? I know everyone is still occupied by “Formation,” but “Save The Hero” will FOREVER be one of my top two Beyoncé songs (The other being, “I Was Here”). I don’t look to any celebrity as my standard of living, nor do I fault myself for any music I listen to (when I catch myself feeling myself too much, I check it QUICKLY). I have a faith that I’m growing in day by day and God prunes those habits REGULARLY. In the meantime, I take any revelations God gives me via any medium– which is often music (and not just Christian or Gospel genres). All that being said, this particular song came to mind as I considered my topics for my next Podcast recording. It’s pretty much where I’m at right now. I didn’t sleep at all last night. Not because I was stressed or anxious or upset or worried. But because I needed that time alone with God. “…I’m left with no shoulder, but everybody wants to lean on me. Well who’s gonna be mine? When she’s left all alone and she’s crying out for help. I feel that way, OFTEN. And, like any other time I find myself pondering lyrics during my quiet time, I heard God answer me. “Strong people” struggle too. The world looks at you as if you are some superhero, but you know all too well that you are STILL human. God is the one true, constant confidant that you have in the midst of all of life’s challenges. He WILL NOT fail you and you CANNOT allow others to change who you are or stop the purposes and desires He has placed in your heart. Take some time away with God and allow him to strengthen your heart. I pray that my transparency helps someone else today. It’s pressing on my heart to share so I’m sure there’s some person who needs these words at this very moment. This week has been tough. I’ve shared a bit about my history of chronic pain and plan to continue to do so in my future blog posts. It’s not always easy. Some days are particularly harder than others. Sometimes my pain is minimal, but I have other periods when the pain persists for weeks at a time. I had to sleep sitting up following my sinus surgery this past December and I think that may have triggered some things, but I won’t complain because the pain is still not what it used to be. Back in 2012, I remember praying and promising God that if he did what only he could do in the spirit realm, I would do what I could in the natural realm. Prior to that, I’d worked out with a trainer and lost a decent amount of weight while in school in North Carolina. After moving to Mississippi, I slacked off of my workouts and the pain returned. I quickly realized that a significant factor in managing my pain was building up my strength. This leads me to the main point of this post: Pressing through the pain. The art of the press is the process by which we continue to pray, praise and push even when it makes no sense at all. The process of pressing may take us down a long road, but FAITH wins EVERY time. When we commit to the press, we make it to the promise or we come to a place where we understand the purpose of the process. Take coal for example. Coal under pressure can become a diamond. If the coal does not become a diamond, it meets another destiny– Often a source as a source of fuel. Both are endings are significant. The outcome is determined by 2 things– (1) the power working within it [us (Ephesians 3:20)] and (2) how it [we] withstand the art of the press. One of the greatest lifestyle changes I made for myself was creating my own “fitness corner” in our home. I have most of the elements I used at physical therapy. My intention here was to create an environment in my home that would allow me to continue those activities that helped to minimize my pain symptoms. A big thanks to#peakwinathletics for the stability ball and foam roller! Both items are super sturdy and come in my favorite color– pink! I use the stability ball for core strengthening exercises and roll out my IT band to reduce any muscle fatigue after I finish my modified workout. I may not feel well enough to go back to the gym just yet, but I know I can remain active at home and maintaining my strength training makes a world of difference in managing my pain– #iPRESS! In the same way, it is also important that we are intentional about carving out both time and physical space to focus on building our spiritual strength. 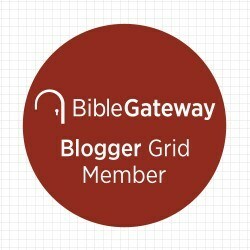 I’m using apps on my phone like First 5, YouVersion, and BibleGateway. I like that each app has different features and that I can synchronize my activity between my android phone and tablet device as well as my online profiles (for YouVersion and BibleGateway). First 5 is really awesome because you can read the morning devotional (which really does take about 5 minutes) and then schedule it to remind you to complete a complementary study called “More Moments” later that same day. I am in no way trying to tell you what do or how to do it, but I am hoping to encourage you to do and use something. For both your physical and spiritual health. Be intentional about your future and what you want to see for yourself in 2016.